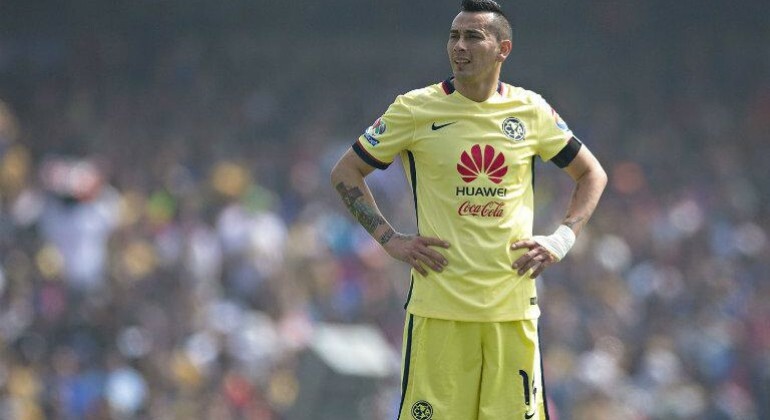 Liga MX clubs voted in favour of a change to the division’s foreign player rules yesterday. Gone are the limits on foreign players in the registered squad, previously five, and gone is the unlimited usage of naturalizados. This had become a problem to many as Mexican citizenship rules, which allow people from Latin America and Iberia to take up citizenship after just two years, was leading to less Mexican-born players receiving first-team football. 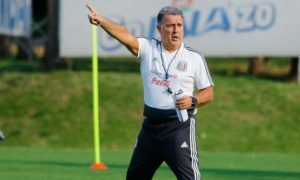 The new ten-eight rule is enforced on the match day squad rather than in the registered squad, and limits the use of both foreign players and naturalizados, with the exception of a special clause for Mexican-Americans, as long as they declare their nationality as Mexican before 19. From now on foreign players and naturalizados will be counted together, and a limit of ten can be used in a match squad. As foreigners and naturalizados are counted together, teams are free to use the allocation how they like. Some teams may prefer to fill their side with Liga MX experience, and use more naturalized foreign players, whilst others may take the opportunity to sign more players from South America and Europe. It’s difficult to say just how the rule change will impact the distribution of player nationalities in Liga MX, but it could be that we see a fall in the number of naturalizados but an increase in the amount of foreign players. To many this rule, and restricting foreign players in general, is all about the club v country debate. A common held view is that the use of foreign players leads to less opportunities for young Mexicans, limiting their development. Therefore, more foreign players may increase the standard of Liga MX, but can have the adverse effect of hurting the quality of the Mexican national team. I take a different view. To me foreign player rules are about discrimination, human rights and equal opportunities. The previous five foreign player restriction forced Liga MX clubs to discriminate against nationality, whilst the new ten-eight rule adds birth place to factors which players can be discriminated against. These limits can prevent non-Mexicans who are better and more deserving of a job in Liga MX than Mexicans from being signed. This can be disastrous for players living in countries with small, low-quality domestic leagues. For example, if a player from Panama cannot be signed by a Liga MX club because the team feel they need another Mexican to deal with the restrictions, he’ll be stuck in Panama, limiting his development, prestige and financial earnings. Put your feet in these players’ shoes for a moment. Imagine going to a job interview, knowing you’re the best candidate for it, but not getting the job because the company have already fulfilled their foreign worker limit. This is the reality for many footballers with foreign player rules across the world. The other impact on foreign players is that they get less time to prove themselves if they do get signed by a Liga MX club. As using the foreign player allocation effectively is a key part of being successful in Mexico, a few bad performances can lead to a foreign player being sold or loaned out just one competition after they’re signed. On the other hand, Mexican players get more time to prove their quality as their usage isn’t restricted. Wilson Morelo received just four starts with Monterrey before being loaned back to Colombia. He’s since showed his class during a loan spell with Dorados. Another important point to make is that there is no evidence that foreign player limits actually improve national team performance. Take the last three World Cup winners for example; Germany, Spain and Italy. All three are part of the European Union (EU) and therefore cannot prevent the free movement of EU players. Yes, Spain have restrictions on the number of non-EU players, and Italy limit non-EU signings per season, but every team could field a full-foreign side. Despite this, plenty of young Germans, Spaniards and Italians receive first-team football, both in their domestic divisions and in other leagues around Europe. All three countries have a consistent production line of young talent, keeping them at the top of international football for many years. Considering these examples, it’s clear that international success can be achieved without enforcing foreign player limits. Liga MX should be looking at other reasons why many young players don’t develop as well as they could. 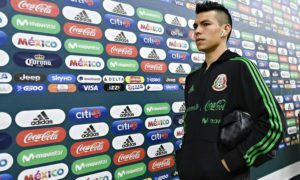 A focus on short-term goals, perhaps due to the Liga MX structure, little movement of players abroad, both to Europe and other parts of the world, and the lack of a clear pathway from youth teams to the first-team are all issues which can harm young Mexicans. 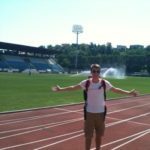 With a shortage of evidence that foreign players are the driving force behind a lack of opportunities for young domestic players around the world, the blame placed upon them reminds me of debates around immigration in countries such as the US and UK. For many, foreigners are an easy scapegoat. The ten-eight rule is a major change, and my hope is that it will be a step in the right direction for player rights, equal opportunities and the end of discrimination. Certainly, Mexico deserve credit for adopting a much less strict foreign player policy than many other nations around the world. However, it still forces clubs to discriminate against nationality and birth-place, and in my eyes this cannot be defended on the grounds that it will improve the national team. Besides, as illustrated, there’s no evidence that it will.